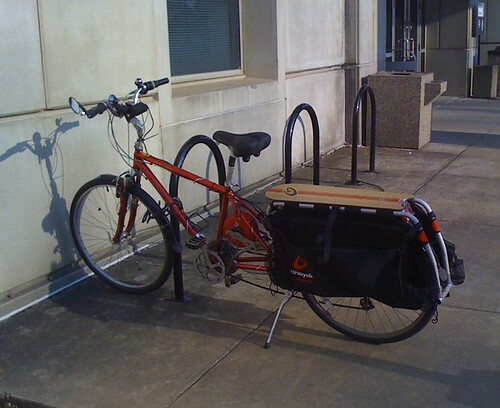 My Xtracycle installed on a 2007 Jamis Citizen 1.0 700c hybrid. Used riser plugs to lift Vracks and snapdeck so I could get a fender on the stock 700cx38 tire. Just fit. I added a Stokemonkey electric motor to make this a combination hauling/commuting machine. It really tames the hills; carrying 80 lbs (my highest load) or nothing is about the same with the Stokemonkey. Only difference is the speed climbing hills.